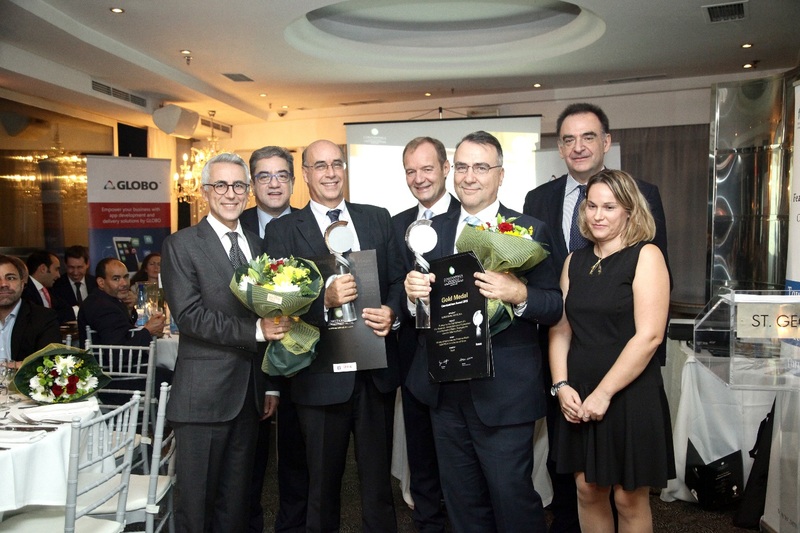 The first of two Silver Medals went to Austrian Champion Advicum Consulting GmbH for the successful restructuring of the globally operating, family-owned company Mayer & Cie. GmbH & Co. KG (MTC) as interim CEO and CRO. After a „Planinsolvenz“ or self-administrated insolvency in 2009 Advicum Consulting GmbH took over to turn around the business. Departments were merged, the vacant spaces leased. Moreover, processes were streamlined and in some divisions productivity was increased by 100%. Also the scrap rate was reduced significantly. Today, MCT is again the clear global market leader! The second Silver medal went to Price Water House Coopers & TEC Business Solutions S.A. from Greece. The company developed a proposal for a new organizational structure of the Hellenic post S.A. (ELTA). The Key elements of the strategy were developing direct interventions, in order to halting the downward path in revenues (crash program), internal reorganization and developing new products. Bild (FV UBIT / FEACO) mit Gold Medal Gewinner und griechischem Champion EUROCONSULTANTS S.A. für die Ministry of Agriculture and Fisheries Wealth (MOAFW) of the Sultanate of Oman (von links nach rechts): FEACO Präsident Ezio Lattanzio, Mr. Bonanos (Globo), Michael Fronistas (LOCUS), Alfred Harl (Chair Constantinus), Dr. Paris Kokorotsikos (EUROCONSULTANTS A.S.), SESMA Präsident Vasileios Regouzas, Co-Moderatorin Maria Tsioumani.